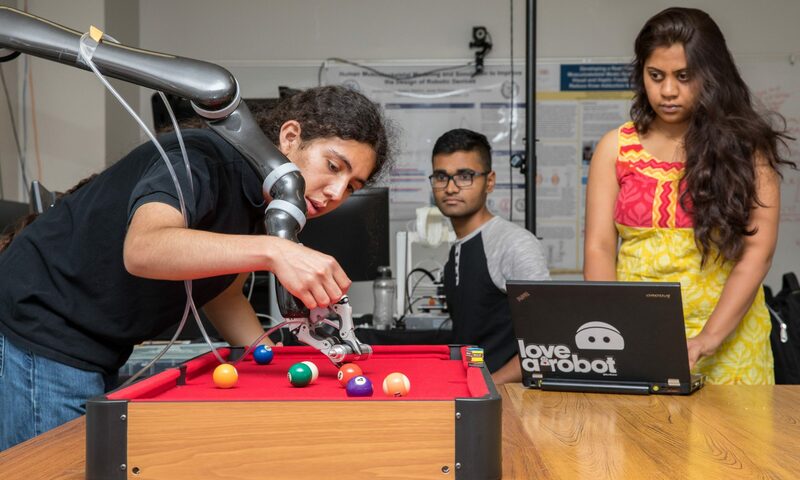 The CSULB College of Engineering has hired seven new tenure-track faculty, expanding expertise into technologies such as optoelectronic devices, the Internet of Things, Micro Electro Mechanical Systems (MEMS), thermal fluids, visual data sensing, and therapeutic systems to promote healing. In addition, Bill Wolfe, Faculty Emeritus in Ohio State University’s Civil, Environmental, and Geodesic Engineering Department, will spearhead growth of a new engineering specialty as temporary CSULB Beavers Endowed Chair in Heavy Civil Engineering. The new faculty will work in the departments of Chemical Engineering, Civil Engineering and Construction Engineering Management, Electrical Engineering, Mechanical and Aerospace Engineering, and the new Biomedical Engineering department. They received their education at top-ranked universities, including GeorgiaTech, Harvard University, Massachusetts Institute of Technology, Stanford University, and University of California Berkeley. Aftab Ahmed was appointed assistant professor in the Department of Electrical Engineering. After obtaining a PhD in electrical engineering from Canada’s University of Victoria, he spent three years as a postdoctoral researcher at Argonne National Laboratory. Ahmed also has more than four years’ experience as an electric circuit design engineer. His research centers on advancing the physics and engineering of optoelectronic devices, and using the knowledge to tackle real-world problems in medical diagnostics, photonics, sustainable energy, and optical/microwave communications. Perla Ayala joins the new CSULB Department of Biomedical Engineering as an assistant professor. She earned her Ph.D in Bioengineering from UC Berkeley and UC San Francisco in 2011. For the past four years, she has been a postdoctoral research fellow in the Department of Surgery at Beth Israel Deaconess Medical Center, Harvard Medical School, and the Wyss Institute for Biologically Inspired Engineering at Harvard University. Ayala’s research focuses on developing therapeutic systems that promote optimal healing. Her research applies a multidisciplinary approach to create engineered tissues and cohesive drug delivery platforms for applications in the clinic. CECEM has hired Vahid Balali as an assistant professor. A BIM and project controls specialist at STV Inc., Balali obtained his Ph.D in civil engineering from University of Illinois at Urbana-Champaign (UIUC). His research focuses on visual data sensing and analytics for the AEC industry, virtual design and construction for infrastructure asset management and interoperable system integration, and sustainable infrastructure decision-making. Navdeep Singh Dhillon, who holds a doctorate in mechanical engineering from UC Berkeley, will be MAE’s latest assistant professor. Dhillon’s research focuses on thermal fluids and MEMS. He holds an undergraduate degree in ocean engineering and naval architecture from the Indian Institute of Technology, Kharagpur. Prior to joining CSULB, he served as a Shapiro Postdoctoral Fellow (2012-2013) and postdoctoral associate (2013-2016) at MIT. Surajit Roy will join MAE as an assistant professor in Spring 2017. A postdoctoral research associate at Pacific Northwest National Laboratory (PNNL), he obtained his Ph.D. from the Department of Aeronautics and Astronautics at Stanford University in 2014. His current research interests are prognostic models for material aging under harsh environments, reduced-order modeling for structural-wave propagation, non-destructive testing techniques, and data-driven algorithms for structural health monitoring. As a new assistant professor in EE, Hengzhao Yang will focus his research on high-efficiency energy storage devices and systems for applications in wireless sensor networks, smart grids, and the Internet of Things. He obtained his Ph.D. in electrical and computer engineering from the Georgia Institute of Technology in 2013, then worked as a GeorgiaTech postdoctoral fellow from 2013 to 2015 and a visiting assistant professor at Miami University from 2015 to 2016. 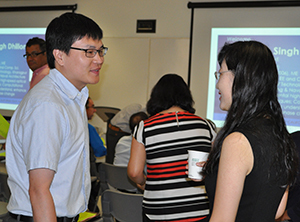 Yu Yang will work for the Department of Chemical Engineering as an assistant professor. He obtained his Ph.D. in chemical engineering from University of Alberta in 2011, then worked as a postdoctoral scholar at University of Alberta and MIT from 2011 to 2015. His research focuses on the application of process control and optimization theories for the large-scale and complex chemical processes and systems.